Why Is My Washing Machine Ripping Clothes? 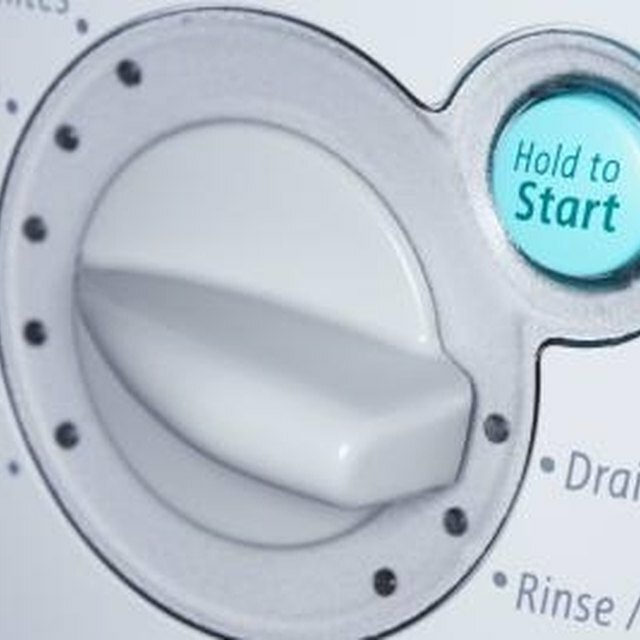 Washing machines are only meant to clean clothes, which is why users may be surprised when they find that clothes have gotten damaged during the wash process. However, the reasons why clothes may be getting ripped in a washing machine can be simple to determine and resolve by doing a little inspection and troubleshooting. Cleaning out pockets and closing fasteners can help prevent clothing rips. Clean out pockets before washing items as loose items can fall into the washer tub and snag and tear fabric when tumbling around. The loose objects often create a rattling sound, which is a good indication that there are items in the tub that may be causing the damage. Metal objects on clothing can also cause problems, including rips, if the objects are left open. Examples include zippers, hooks, buckles or other fasteners. Close, snap or fasten any metal objects that are permanently attached to clothing items before washing to help prevent the metal from snagging and tearing other items. When washing delicate items with a metal component, such as underwire bras, place the bras in a garment bag to prevent the wire from the bra coming loose and tangling with other items. Low speed, delicate cycles are best for items such as undergarments. Examine bras well for signs of wear or loose underwire as even a small piece of wire can rip other items inside the washing machine. Read the labels on clothing items regarding clothing care, and only use liquid chlorine bleach when recommended. The chlorine bleach should only be added to the bleach compartment, and only the recommended amount should be measured and added to the compartment. The use of undiluted bleach can create damage that may appear as rips or holes on fabric.